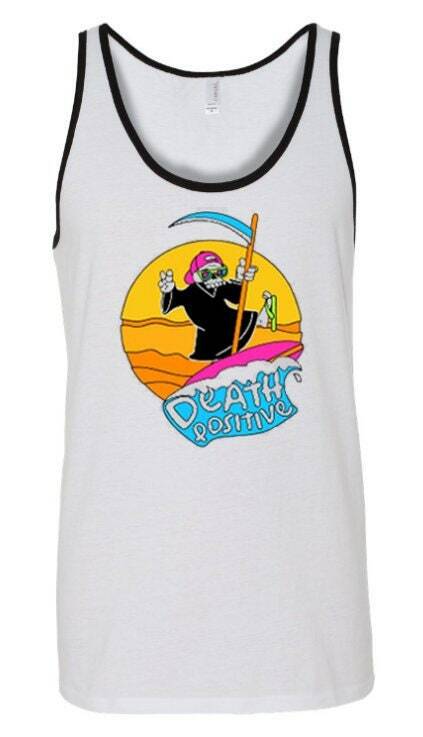 Unisex Tank " Death Positive Surf Reaper"
This is our Death Positive summertime T and it is an homage to the Simpson's character Poochie the Dog. Everyone knows when you want to spice things up you bring in an outside character, so we thought we'd let the Grim Reaper get his 15 seconds of fame. If you are a Simpsons fan, or just a fan of "rad" 90's art then this is the T for you. Get it now, cuz like most of our shirts, it's a limited print! 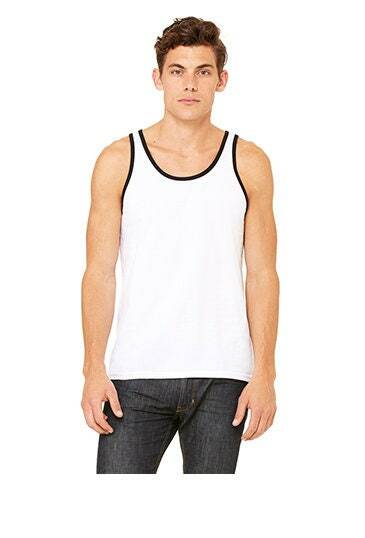 Bella+Canvas Details: This must-have unisex tank is updated with a modern fit, featuring a rounded neck and designed with superior combed and ring-spun cotton. Wash inside out. Delicate. Lay flat to dry. All sizes are Unisex for this listing. The drop down menu lists as men because that is an Etsy default button. 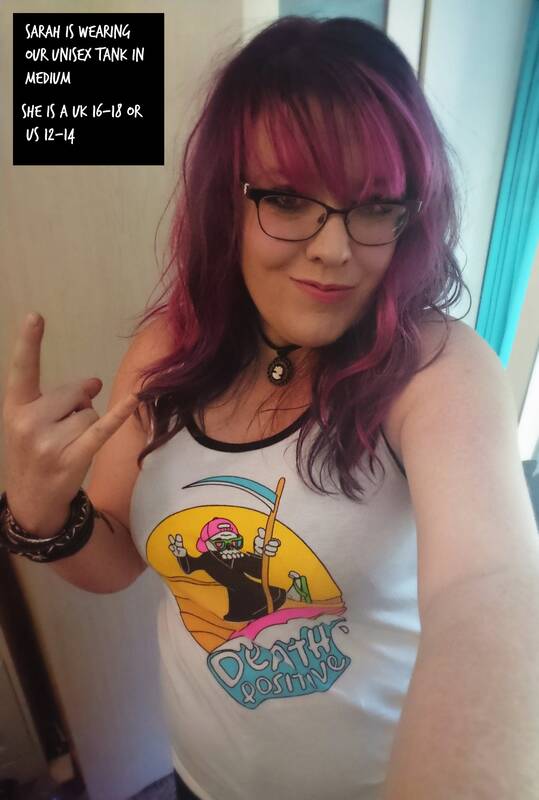 The shirt is printed on the Bella+Canvas Unisex T. It fits great on both men and women and has loose cute sleeves and a straight up and down cut. It is slightly longer than a ladies shirt and will shrink a bit after washing. 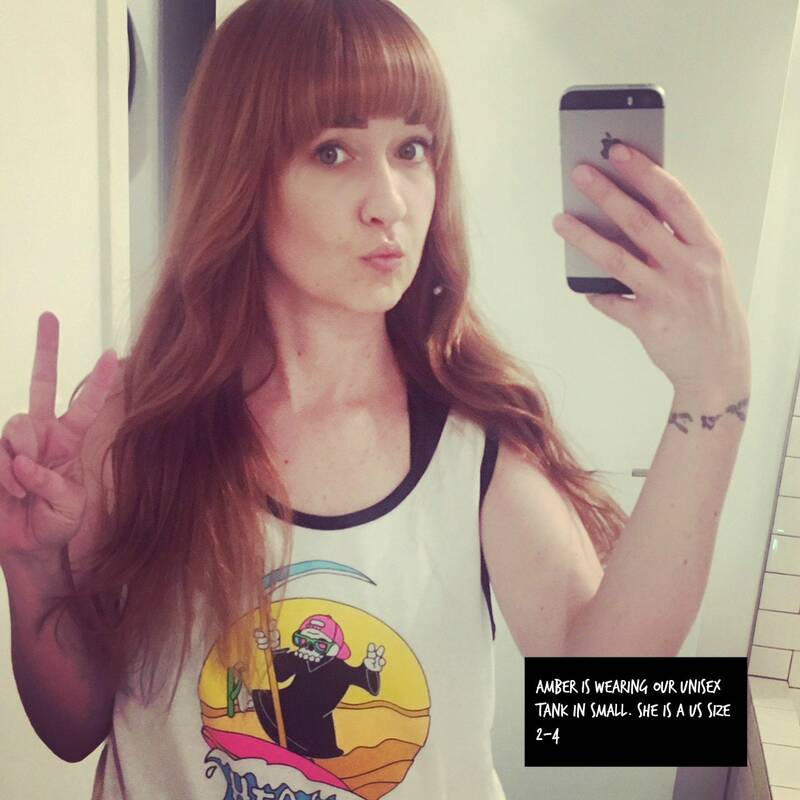 I (Amber from Undertaking LA) have all of our shirts in this cut and they have a super cozy fit. It fits me perfectly and it is a more light hearted shirt that i will happily wear outside! I love the design and how soft it is! Thank you! Yay!! Perfect for all my summer spookin'!